Homeschooling And Higher Education: What About Getting Into College? When it comes to homeschooling and higher education, you may worry that your child will struggle when it comes to getting a place in college or University. This is the question Jennifer asked on my Facebook page - and my goodness - did we have loads of interest and some really helpful answers! I'll put as many as I can below, and I'm going to start with what I've found out myself. Next bit of good news. There is one general truth that applies to homeschooling and higher education. All Admissions Tutors in the Universities and Colleges of both the US and the UK are looking for evidence of independent learning. Great test scores and exam results have often proved to be a poor measure of success when it comes to the very different demands placed on students when they come to study at University and College. 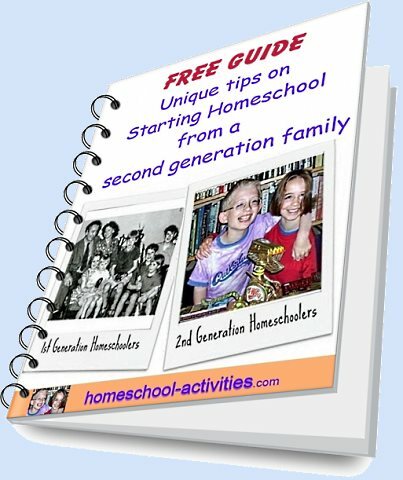 By homeschooling you will actually be enabling your child to become great college students, because they will be far more used to independent study and self-directed learning than their school counterparts. 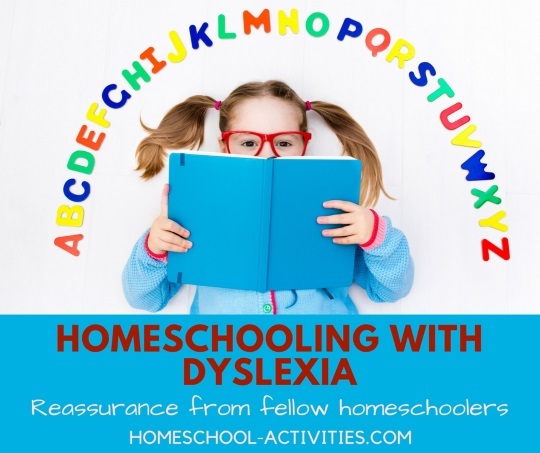 Homeschooling and higher education is a actually a great fit, because you are giving your kids exactly the study skills they will need later on. Harvard is among those who look for leadership and intellectual passion and they consider homeschooling an educational asset. "One often sees a self-reliance and independence, as well as intellectual curiosity in people with unusual educational experiences,"
By homeschooling, you can make your child's application STAND OUT from all the others. College Tutors are looking for something different from the standard school application. That's why schools spend so long trying to add things on to their students c.v. so that they have something to talk about in interviews. By homeschooling, you can give your child far more opportunity to develop real interests and follow them so that by the time they come to apply to college they have genuine skills and abilities which make them stand out. When I applied to the top Universities in the UK, Admission Tutors were delighted to meet someone who had been home educated. 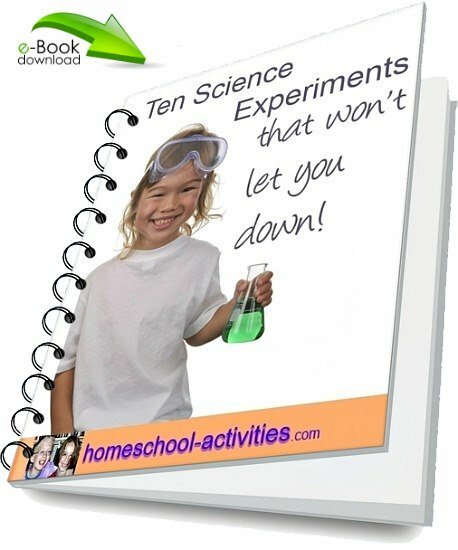 By homeschooling, your child has an opportunity to do all sorts of things. Some homeschool teens have earned credits in Environmental Science and American History by volunteering at nature preserves and historical parks. As it happened, my interests included badger watching. The tutor said that most applicants were forced to make up things to write on the form. Since he happened to be the first person in the UK to publish a color photograph of a badger, he was delighted when it turned out I had been wildlife watching since the age of ten! Needless to say, I got the place. "When Admissions Officers examine a homeschooled student's application, they see more than just another teenager with good test scores, decent grades and the standard list of high school activities." What Qualities Are Colleges Looking For? 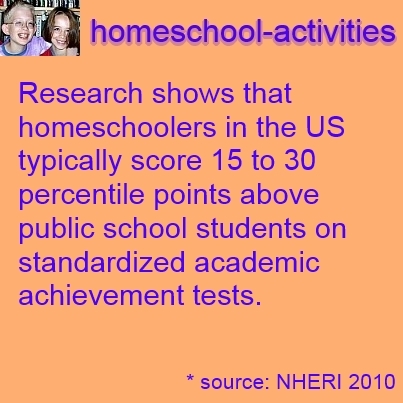 We already know the academic advantages of homeschooling. Let's delve into this a bit further. 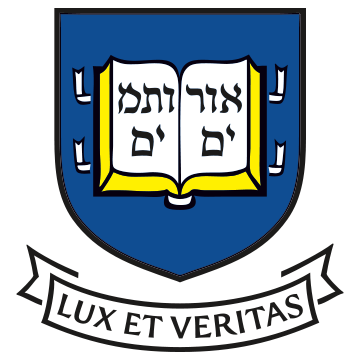 Yale University admissions say three-quarters of their applicants have the right academic qualifications. It is the extra bits they're looking for. And if you want more evidence of success when it comes to homeschooling and higher education, look at what Kip and Mona Lisa Harding have achieved. Out of their 10 children, seven of those 10 children have gotten into college by the age of 12 (so far), and the youngest three are well on their way to joining them. "If we as parents let our kids work at their own pace, provide material that the kids are interested in, and never hold them back, then they'll begin to see amazing results." That's exactly what we're doing with our son William. By following his interests he's achieved the top exam results schools boast about. "Many colleges tend to choose homeschooled kids for their motivation and for the diversity that they bring to the campus community." What If Your Child Doesn't Get Great Academic Results? There is a lot of evidence to suggest that Universities and Colleges in the UK and US are much more aware of the failings of the school system. They know that fantastic grade scores often can't measure creative thinking - which is exactly the sort of approach you need if you are going to be an original thinker in any field of study. You've probably heard about the three Colfax brothers who were all homeschooled. They were accepted by Harvard with almost no formal education whatsoever. Obviously individual admission requirements will vary. Some institutions will require SAT scores or a general equivalency diploma, but not everywhere will. You may find the more prestigious the institution the more flexible they can be when they see evidence of a keen and interested student. Another advantage for homeschooled kids in preparing for college is that there is no rush. You can start college at 15 or at 20, whenever your child is ready. Here is a link to a free pdf by Pat Farenga from the Homeschool Organization which discusses the issues around homeschooling and higher education, called Teenage Homeschoolers: College or Not? Alex Dowty was accepted to study law at Oxford, despite not having a single GCSE or A-Level to his name. 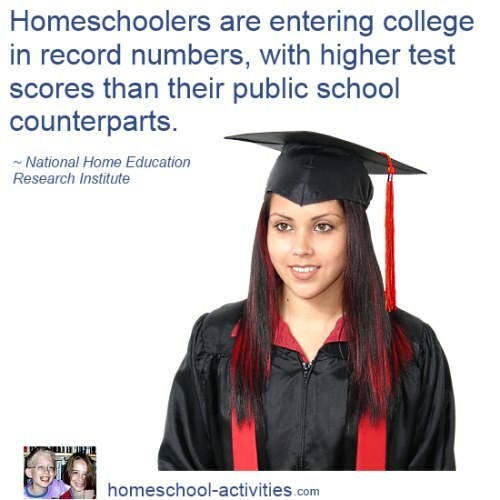 are no barrier to homeschooling and higher education. Of course, going to a top University is not necessarily a measure of homeschooling success. In fact, it may well be not the best choice for your child. There's certainly a strong argument to say that going to college doesn't necessarily lead to a job, the fees are way too much of a burden and you may not end up with the skills you actually need. We are taking a non-academic route with our artistic daughter while my son William has decided to teach himself what he needs to know to get to college. So you could say we have a foot in both camps! Obviously, University may not be the best choice for your child, but it is good to know that the door is wide open. And there's no doubt that having few paper qualifications can be no obstacle to homeschooling and higher education. You may have read The Lion Children. It's written by three homeschool kids: Travis aged 17, Angus age 14, and Maisie age 12. They live with their Mom in Africa and help out on a lion research project. "Having taught at Oxford for thirty years I say that any university will be fortunate to receive an application from any one of them." PS It's a great book too! "Hi. I plan on beginning homeschooling after the current public school year ends. They are bored beyond belief with the curriculum there. "No SATs, just Community College. My daughter homeschooled high school in 3 years, went to a CC for 3 years, was accepted at CAL Berkeley, and is now a PhD candidate there . . ."
"Our daughter is homeschooled and on what we call the "Ivy League" plan (shoot for the stars, right? ). She is very bright, so we use college textbooks we find for a song on ebay (the last "old" edition that they won't use in university anymore) and she takes the AP tests each spring. She's earning college units with those while also providing her with some measurable nationally-used scale so that admissions programs can get a sense of her abilities in a "language" they understand. She's on track to complete 10-12 AP classes prior to application time. JCs are good for this, too. Since she has so much more time than a "traditionally-schooled" kid, she has a chance to better boost her app by taking the lead on volunteer opportunities, etc. Good luck!" Look at college admission it's more about ACT & SAT." 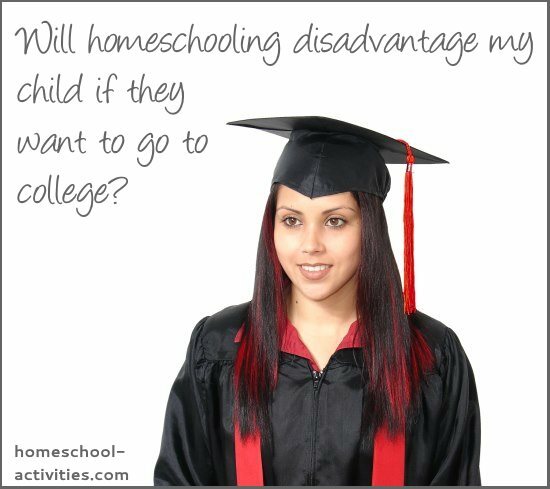 "There are a lot more Universities after Homeschoolers in the past couple of years. They are even getting spaces at the homeschool conventions. The great thing to do, I believe, is Dual Enrollment with a University for your child's upper level HS courses. They earn college credit while still in High School. A lot of colleges offer this in our area in AL." "Hi Jennifer. I don't know where you live but in California there are many homeschool charter schools! My kids are enrolled in a public k-12 charter who provide us with the choice of over 650 vendors for curriculum and the kids meet with an educational specialist every 2 weeks who collects work samples and documents their learning. I couldn't be happier with our choice to homeschool! And they have records and transcripts that they are enrolled in a public school." "Many of the families I personally know with high schoolers go the community college route, then plan for early college admission." "Not sure where you live, however you can register them through SailAway Academy's in Kingston, TN for homeschooling regardless of what state you live in. I suggest looking them up and giving Alex or Laura a call!" "We use an accredited online program. After calling a few colleges, I am confident we chose the right route." "As long as you aren't in New York, no problem. It's a little tricky here but not too bad." "Don't know where y'all are from but I went through Gateway Christian school from Memphis TN and several of my friends did to. One went to college no problem." "I like all the comments about cc hs dual enrollment. My son is finishing 6th grade and is begging for home school. I bought switched on ( if anyone has any experience with this curriculum I would love input) I told him we are giving him a year to try it. I told him if he continues he will do the dual enrollment in hs. In nc where I live they can earn their as degree for free. I'm excited to start and see how it goes." "We enrolled through a Christian academy one year. And this year we enrolled through an online academy." Thank you to all my facebook fans who took the time to help. The crucial thing to know about homeschooling and higher education is that if your child really wants to go to college - they can. In fact, there is a good deal of proof to show that they will actually be at an advantage. And they can go to college without the benefit of scholastic records and without help from public or private school educators. My site is getting way too big!!! Even I get lost on it. Here are some other pages you might like. Click on the pic to go to the page.